To Cut The Risk Of A High-Fat Meal, Add Spice : The Salt Researchers have found that a meal loaded with spices like turmeric and cinnamon helps cut fat levels in the blood — even when the meal is rich in oily sauces and high in fat. Research from Penn State finds heavily spiced meals — think chicken curry with lots of turmeric, or desserts rich in cinnamon and cloves — may do the heart good. No need to be stingy with spices. Research from Penn State finds heavily spiced meals — think chicken curry with lots of turmeric, or desserts rich in cinnamon and cloves — may do the heart good. "Elevated triglycerides are a risk factor for heart disease," explains researcher Sheila West. Her study found that a spicy meal helps cut levels of triglycerides, a type of fat, in the blood — even when the meal is rich in oily sauces and high in fat. In fact, she documented a decrease of triglycerides by about one-third. This compares with people who ate the same meal, but prepared without spices. "It was surprising," West told us. "I didn't expect such a large decrease." It's good news for those of us who love a rich curry made with lots of turmeric or bold amounts of garlic and oregano. During the study, they used a blend that included these spices, as well as paprika, rosemary and ginger. West intends to continue with this line of research, and later this month will present the results of a second study that replicated these triglyceride findings. Next step: determine which of these spices — at what levels — may be most beneficial. "To me, the biggest advantage [found in the study] is the lowering of triglycerides and the insulin levels [which dropped about 20 percent]," explains cardiologist Ravi Dave of he University of California, Los Angeles who has reviewed West's spice research study. He explains that keeping these levels low can lower the risk of metabolic syndrome — as well as diabetes and heart disease. "What we have is more emerging data on the benefits of spice, so I'm excited," Dave says. 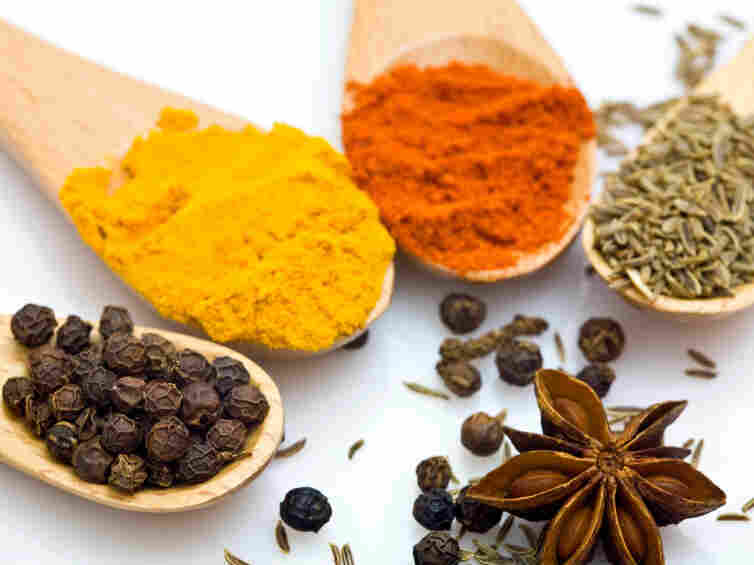 For now, Dave recommends traditional Indian spices — which he and his family use at home — such as turmeric, cumin and coriander, to jazz up food. In the future, it's possible that spices will play an elevated role in medicine, with specific recommendations for preventing disease.